18ct White Gold Patek Philippe World Time Chronograph Ref: 5930G-001. 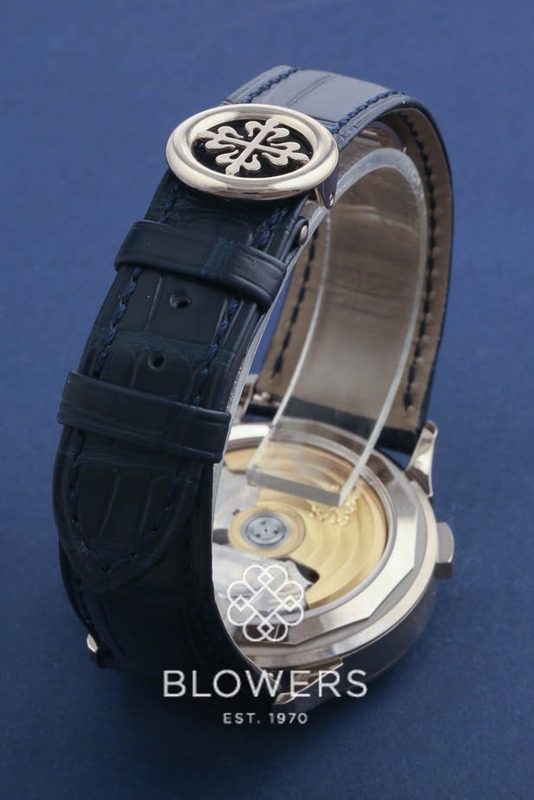 Case diameter 39.5mm. Height 12.86mm. 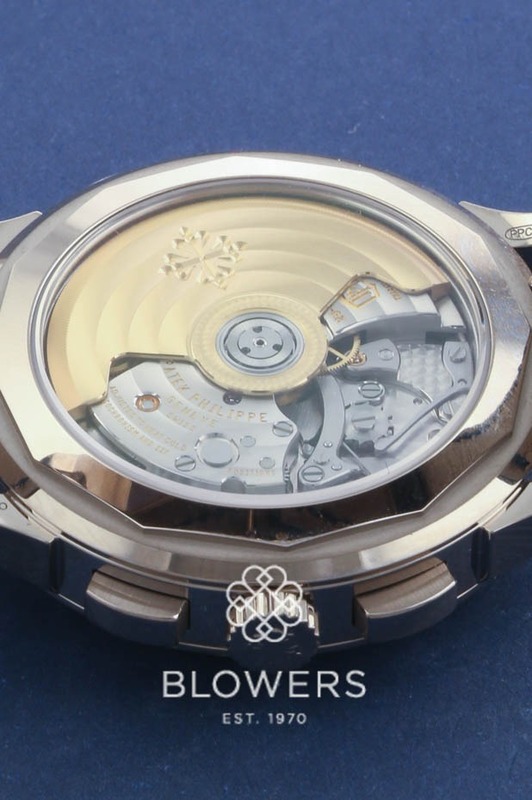 Automatic Patek Philippe Caliber CH 28-520 HU self winding movement, beats at 28,800 vph, composed of 343 parts. 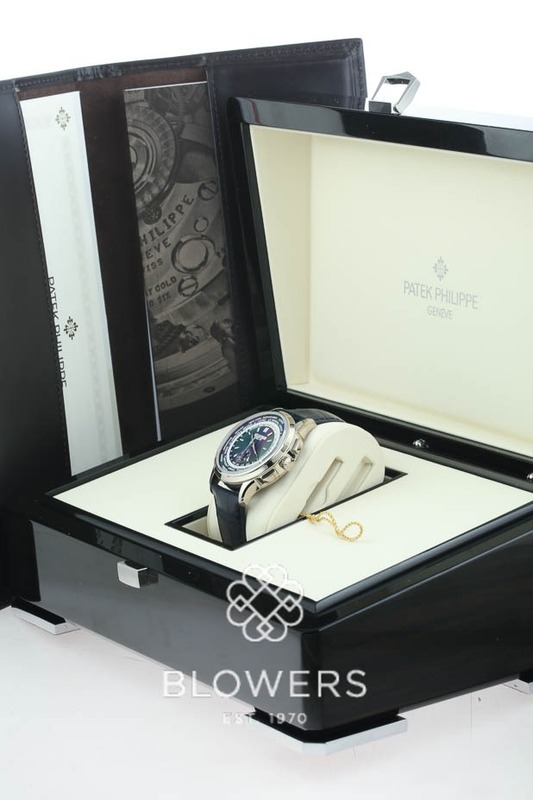 Power reserve operates from a minimum of 50 hours to a maximum of 55 hours. 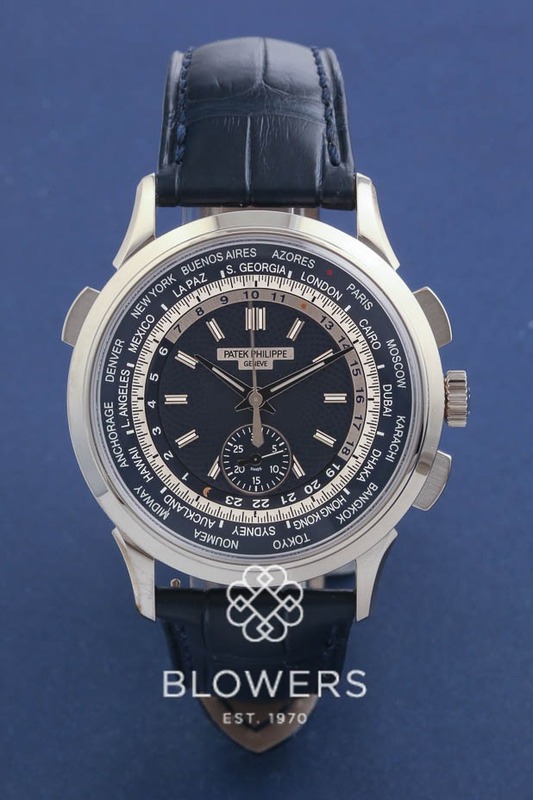 Hallmarked with the Patek Philppe seal. 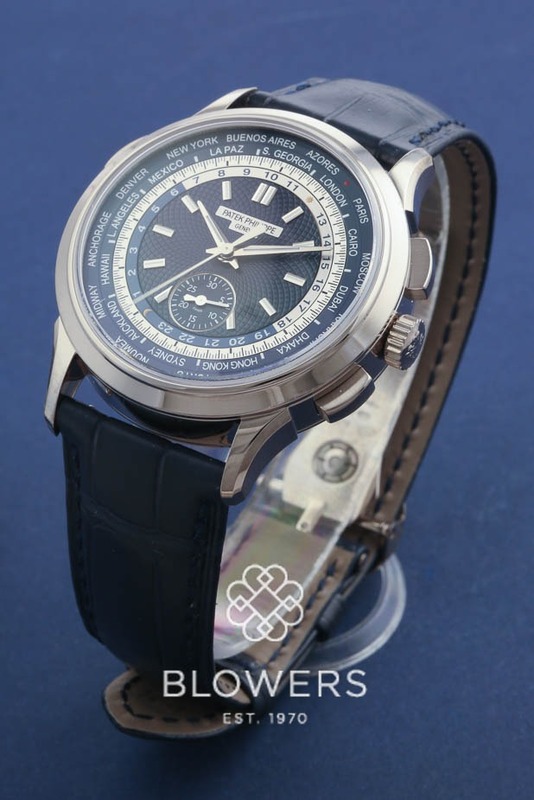 Central chronograph hand and instantaneous 30 minute counter.24 hour night/day indication for the 24 time zones. 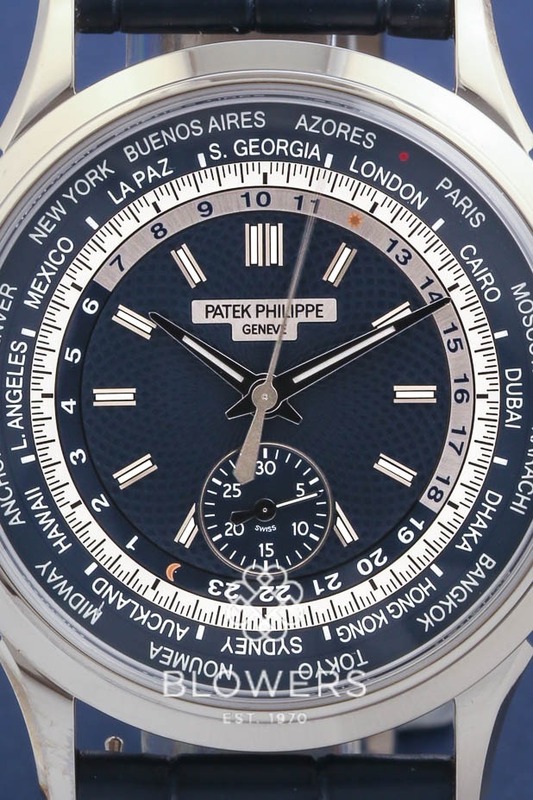 Dial: Blue opalinel, hand-guilloched, gold applied hour markers. 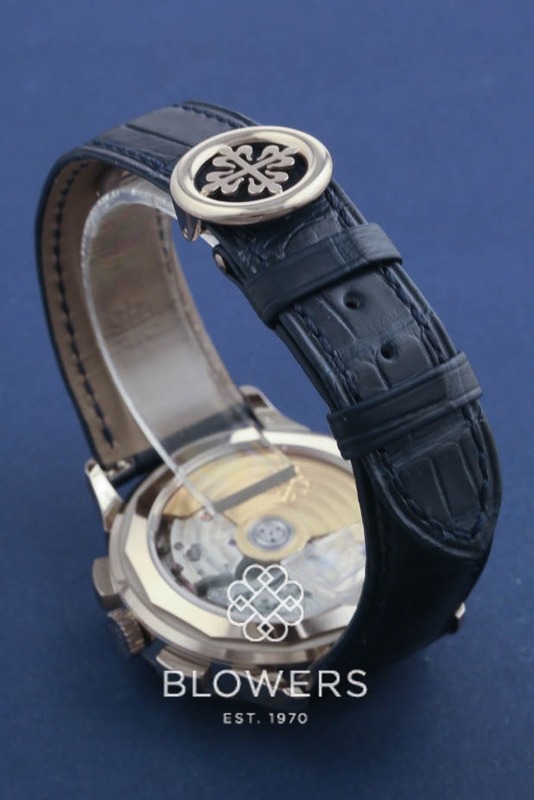 Sapphire crystal see through case back, which is water resistant to 30 meters. Matte navy alligator strap with folding clasp. Box and papers dated January 2017. Our reference S22215. SKU: 3034279. 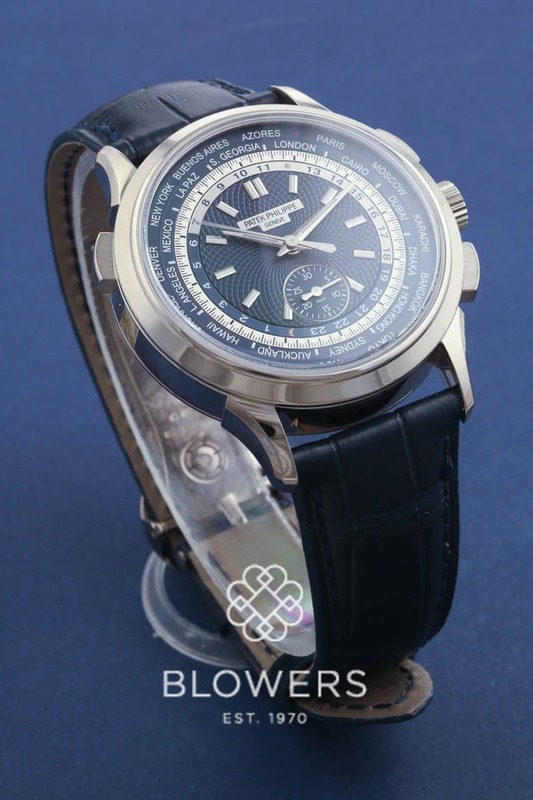 Categories: Patek Philippe, World Time.